10 things you need to know before buying land that will help you make an educated decision you won’t regret! Did you know that we almost made an offer on a piece of land that turned out to not even be for sale because the realtors didn’t know what they were marketing? 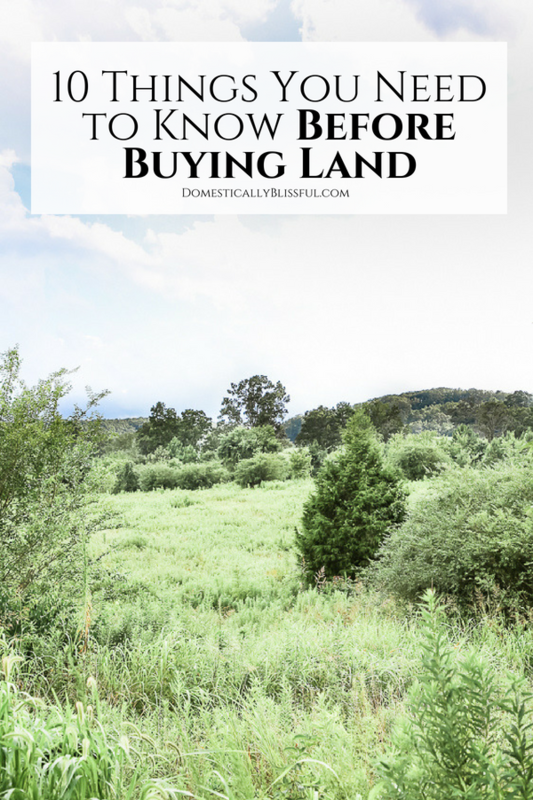 We thought we were prepared for the land buying process, but it turns out there are a lot of things you need to know before buying land. We learned this the hard way over & over again, during the 6 months we spent searching for the right piece of land. 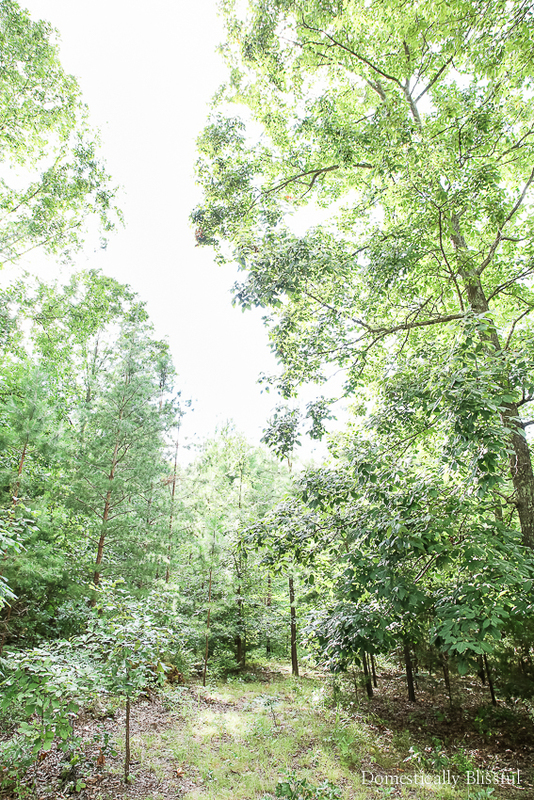 One of the first pieces of land that we fell in love with ended up not even being for sale, even though there was a listing for it on the MLS and pictures of the land stating it was for sale. I’m sure you are wondering how that is even possible, we thought it was crazy too! The two realtors who met Roger, me, & our realtor out on the land to show us the 50ish acre piece (of 100+ acres) that we were interested in, acted like they knew what they were doing. Since they were the realtors in charge of selling the property, logically they should be knowledgeable about the property, so we trusted them even though our instinct said they were wrong. But before, during, & after we met with them on the property we kept questing what the map & restrictions (which was like a book in & of itself) said because it looked to us that the specific piece we wanted to buy wasn’t actually for sale. This went on for weeks! We kept questioning them, constantly re-reading the extensive restrictions & looking over the maps that had changed as the current owner acquired & sold off pieces to create a neighborhood at the front. Eventually, our realtor began to realize we were right, something about the property restrictions contradicted what they were trying to sell us. The land the two other realtors showed us, physically walked on the land showed us, was not for sale. Those realtors didn’t want to admit it, & I don’t think they ever did to our realtor. But a few months later I checked the listing again (yes, it’s still for sale the restrictions were a bit insane) & they had finally taken down the pictures of the part of the property that we wanted that wasn’t actually for sale. Thank goodness, because I can’t imagine the heartbreak other buyers may have felt falling in love with a piece of land only to discover it wasn’t for sale! We know that our experience was probably a fluke, but if it happened to us it could happen to you. Doing your due diligence before, during, & after looking at land will save you time & potentially even money! So I’ve put together a list of 10 Things You Need to Know Before Buying Land to help you in the land searching process. And if you’ve bought land before & have any additional tips be sure to comment below. I know we would all profit from learning your best advice! I know that sounds basic, but you need to make sure you have a realistic set of expectations. Know your priorities & what you will need for the present & the future as your life evolves. Roger knew he wanted acreage. Since the more acreage you purchase the cheaper per acre it becomes the temptation to buy 50+ acres was real. But the more acres you buy the more upkeep it will be, so we opted for 27 instead. And luckily we have 2 nephews that are just a couple of years away from being old enough to mow our lawns & I’m sure they will want to start earning money for a car in high school. This is a big one as land can have a variety of restrictions that you couldn’t even begin to imagine. And the crazy part is that owners can legally put ridiculous restrictions on land that has to be adhered to by the next owners. Some restrictions can even last forever on a piece of land. It just seems so weird to me that someone you paid good money to still has a book of rules over your head once you buy the land from them. So be sure to get the list of restrictions as soon as you find a piece of land you like & then read over it multiple times to ensure you understand & agree with everything. Talk to your potential neighbors. No one wants to spend thousands (or hundreds of thousands) of dollars on a piece of property with neighbors that will drive you crazy. Truth be told, after a few phone calls with a potential neighbor on a piece of land we were interested in we decided to let it go, even though we loved it. Knowing your personality & that of your neighbors beforehand is a good way to know if the land is a good fit for you & your family. Be sure to look at a map to see what is surrounding your property & how it may affect you now & in the future. Such as power lines, cell phone towers, major interstates (sound), or even chicken farms if you live in the SouthEast. We were looking for land in the country in south-east Tennessee & if you’ve ever looked for land away from city & suburbs in this part of the country something you will constantly run into are chicken farms, & they stink like nothing else! So instead of a chicken farm, we ended up purchasing land surrounded by woods, a neighborhood, & an expansive & expensive horse farm. You will also want to be aware of school zones (even if you don’t have kids, this is important for re-sale value) & interstates which can produce alot more sound than you think even a few miles away. We found a piece of land that we absolutely loved, but was ruined by an interstate about a mile away. When we lived in Birmingham we lived a hop, skip, & jump away from an interstate, so we knew they could be bad, but this particular piece of property seemed far enough away & was deep in the woods. Yet somehow it sounded louder than when we lived right next to the interstate in Birmingham. But we would have never known this until we spent time walking around the property. We did not do this before buying land. Our land is at the back of a neighborhood (it was supposed to be the second phase, but they went bankrupt) off of a major road so we never even thought to check about cable & internet. A few weeks after purchasing the land I started to call around to different internet companies for quotes. Every internet company turned me down, stating they don’t have coverage in that area. I was sure they were wrong on their end, but then I drove out to our land & drove around the neighborhood & guess what I spied on the side & back of all the houses? Satellite dishes! This neighborhood is like 10-15 years old off of a major road & there is no freakin internet, fiber optic or cable!! I about blew a gasket! I am not one to cuss, but it’s hard to write these words without throwing a few in there because it’s just ludicrous! This is the 21st century, I can’t work without the internet! But the moral of the story is, check everything! Even if it seems like a silly question, ask it! And please pray I figure out how to work from our new home. Driveways can cost a pretty penny depending on if there are hills, forests, or culverts involved. But don’t take the first price you get. Do your research, get a variety of free quotes, & then make your decision. But be sure to know that cost before closing, no one wants to spend more on a driveway than they did on the land. The realtor who sold us the land actually wanted to buy the land for his family (he even told our realtor after we bought it that if we changed our minds he would buy it from us), but he thought it would cost nearly $100,000 to put in a driveway because it goes up a steep hill. But there is always more than one way up a hill. 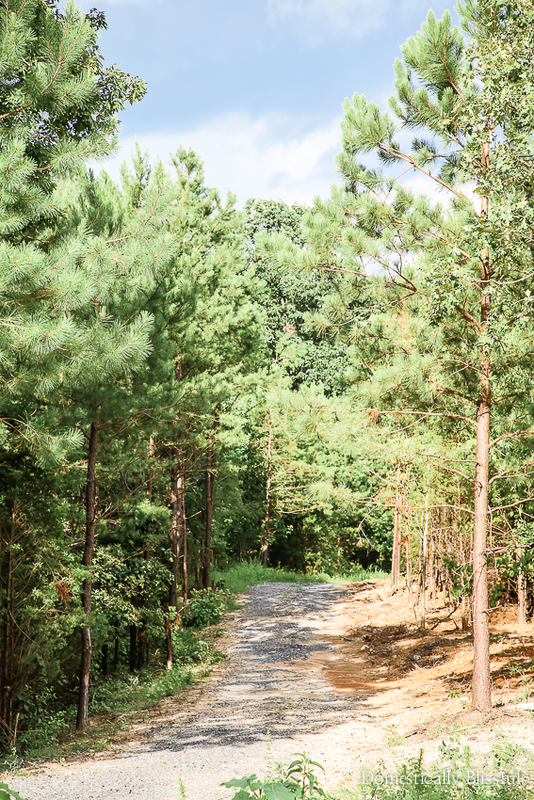 Before buying the land we did our due diligence & walked through the most overgrown part of the forest & discovered that if we put the driveway in that particular spot we wouldn’t have to pave it because it wasn’t as steep. We could put in a nice long gravel driveway through the woods at much less cost and even pave it later if we decide to. And guess what, our driveway cost less than $10,000 because we did our research & found a semi-retired man (he literally told us not to call him before 10 am because he is semi-retired) who owned all of his own equipment & cleared/smoothed our driveway in a few days at a good price. Then Roger got a gravel company to come put gravel on it and now it is a functioning driveway, nothing spectacular, but nice and somewhat smooth. 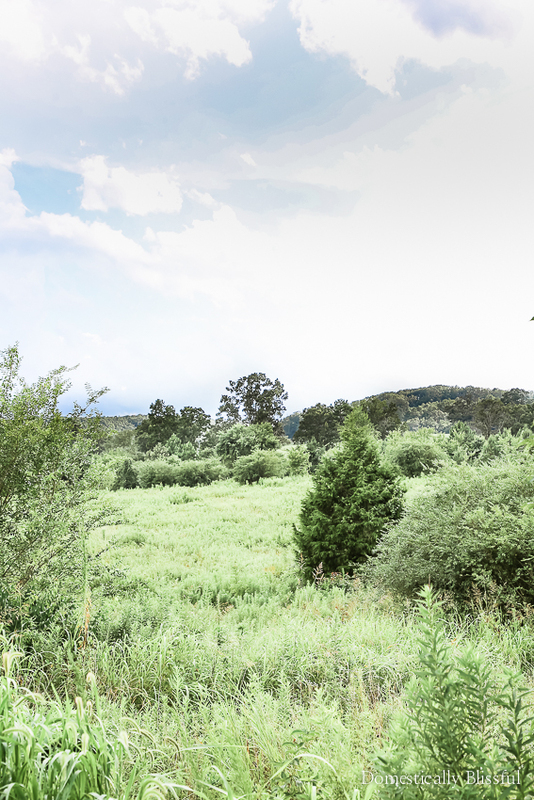 It’s important to know how your land is zoned, such as a green belt, residential, commercial, or agricultural, so you know if you need to have it rezoned for your house. And if it does need to be rezoned, don’t be afraid to make it one of your conditions. Let the current owners do the work of changing it before you buy it to save you some time & money. It’s basically like financing the work into your loan! Before making an offer be sure to look around & find out what other properties are going for in the surrounding area. Not only do you want to get a good price on the property, but you also want to make sure that it is valued properly in case you ever decide to sell it. Be sure to ask your realtor if the land has had previous contracts. We looked at one piece of land that had been under contract multiple times because the land was on the 100-year flood zone, no bank wanted to finance the purchase of the property. It’s good to know what others have gone through & how it may affect you. I was originally told we needed a perk test for our land, but when I called two companies for free quotes I was told we only needed a soil test & that a perk test was only done if there were negative results from a soil test. Which is good to know because a perk test is way more expensive than a soil test. You’ll most likely be aware that the land is on a flood plain or there is an old mine under it before you do the test(s), but you’ll also find out about things such as where you can build your house & if you can put in septic in the place you want to build your house. If you are planning to build within a year of purchasing the land, a great way to save money is to ask your bank if they have a land construction loan that you can roll into a permanent mortgage without closing twice. There are limits that set the max amount you can borrow and do this, but if your house budget falls within those than it can save money by cutting out multiple closing costs. Unfortunetly our loan amount was not within those limits so we had to do a more traditional construction loan which we will convert to a permanent mortgage after building is complete. This is a great way to save time & money! But as I’m sure you know, banks can be rough. We started with a credit union that looked to have a great loan option. After we closed on the land we started to work on the building part of the loan & that’s when things went downhill. Originally we were told we needed around $30,000 for closing, but about 2 weeks before we closed they told us we needed nearly $100,000 to close. We were shocked & very frustrated. Especially because we had been asking for months if there were any other costs we needed to be aware of for closing. After lots of tears, prayers, & phone calls we found a bank that could give us an even better loan, with no downpayment. And even though it was rough at the moment I praise God that He directed us to an even better bank, that has been easy to deal with thus far! If you want to read more tips about building a house you can click here to read all of my tips that range from finding the right contractor to saving money before you even start building your dream home, to tips on where to place electrical outlets, & you can even see a month by month progression of our house being built! 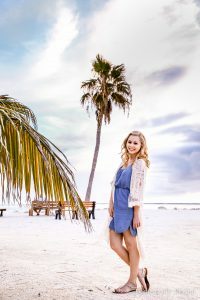 And if you enjoyed this house building post, be sure to subscribe to my newsletter below so that you don’t miss out on another blissful moment! Do you have any house building tips?